Julian Priester is the most distinctive solo voice on the trombone in jazz today. Enhancing the colors and textures of his instrument with varied timbre and definitive style, he truly plays music his way. In a career spanning five decades, he’s been part of some of the most groundbreaking and important contemporary music to date. He started out in Chicago’s thriving blues and R&B scene, playing with Bo Diddley, Muddy Waters, Lionel Hampton, and Dinah Washington, as well as with Sun Ra’s early groups in the mid 50’s. Moving to New York in 1958, he appeared as a sideman on many Blue Note recordings with notables such as Max Roach, Ray Charles, Joe Henderson, Freddie Hubbard, McCoy Tyner, and Art Blakey. He recorded his first two records as a leader in 1960: Keep Swingin’, and Spiritsville. Always involved with adventurous, boundary-pushing music, Julian also worked with Sam Rivers and played in John Coltrane’s Africa/Brass ensemble, and in the 70’s with Duke Ellington’s Big Band and Herbie Hancock’s Sextet. Julian moved to San Francisco in 1973, soon recording two more albums as a leader for ECM, Love, Love and Polarization. In the ’80s, Julian joined Dave Holland’s acclaimed quintet, with whom he recorded and toured extensively. In the 90’s, Julian continued to be a vital voice in jazz, working with Charlie Haden’s Liberation Music Orchestra, Wayne Horvitz’s 4+1 ensemble, Jane Ira Bloom, Jerry Granelli, and Reggie Workman. He also co-led (with Sam Rivers) another session of his own, Hints on Light and Shadow. Today, Julian continues to push forward as the leader of a new quartet with pianist Dawn Clement, drummer Byron Vannoy, and bassist Geoff Harper. 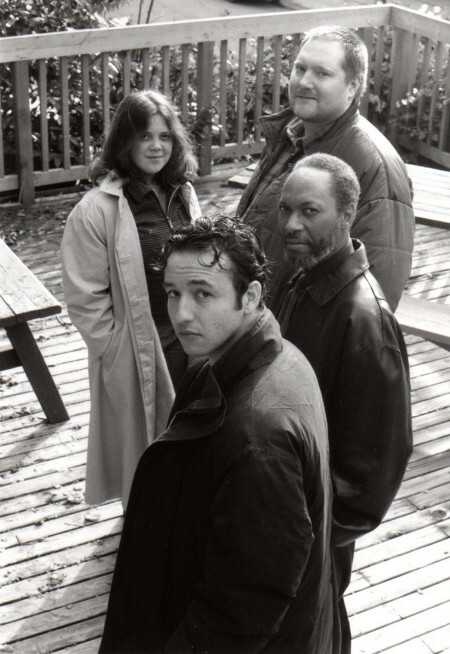 The group’s loose and adventuresome spirit is evident on their 2002 CD, In Deep End Dance (Conduit Records), Julian’s first release as a leader in over 25 years. The music is heartfelt and intensely emotional. Adding to the spiritual weight of the record is Julian’s appreciation for his second chance at life and at music that he was given by the organ transplant he received in March of 2000.